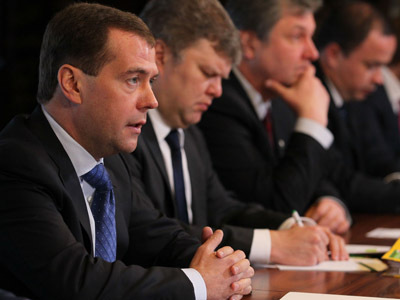 Russia’s President Dmitry Medvedev has signed a list of instructions as a follow-up to his February 20 meeting with leaders of unregistered parties. 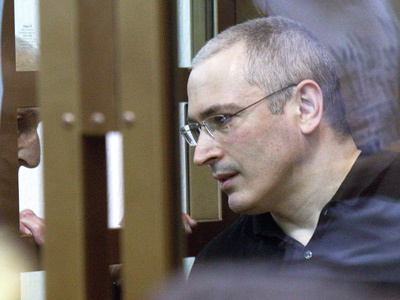 The head of state ordered a report on the grounds for denying registration to the Parnas opposition party as well as an analysis of the lawfulness of guilty verdicts to several citizens, including former Yukos CEO Mikhail Khodorkovsky. “Some time needed to pass after the meeting. 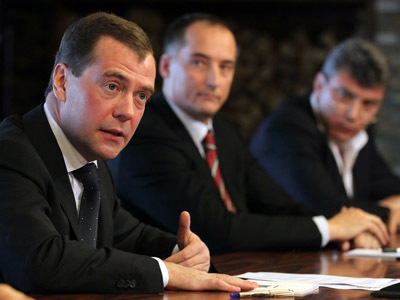 The directives were signed by the president on Saturday,” Medvedev’s press-secretary Natalya Tymakova said on Monday. 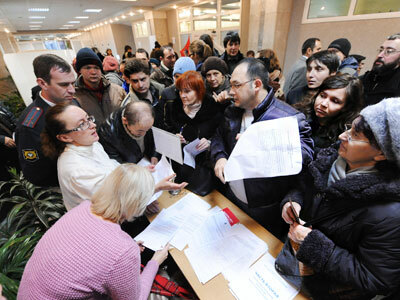 In particular, the president gave the Ministry of Justice until March 15 to report the reasons for refusing to officially register the People’s Freedom Party (Parnas). A co-chairman of the party, former PM Mikhail Kasyanov noted that the Moscow court hearing on the registration of Parnas is scheduled for March 20. “Let’s see how the Ministry of Justice will behave, and whether the court will cancel the unjust ruling of the Zamoskvoretsky district court,” he said. 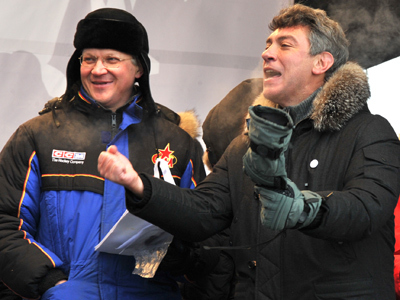 In Kasyanov’s opinion, Medvedev wants to “leave behind fond memories of him” and demonstrate his commitment to the law. 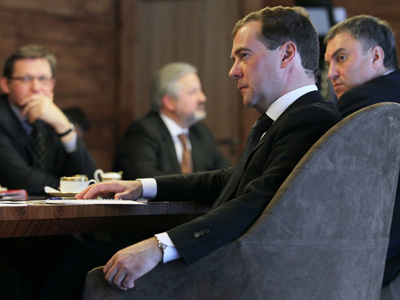 According to another co-chairman of Parnas, Vladimir Ryzhkov, the presidential orders are a direct consequence of Medvedev’s February meeting. They show that the authorities have heard the demands of the opposition leaders, he added. Dmitry Medvedev has also ordered the presidential administration to present proposals before March 20 on the preparation of a draft federal constitutional law on convocation of the Constitutional Assembly. Commenting on the instruction, Communist leader Gennady Zyuganov, who came second in the March 4 poll, recalled that his party has long been pushing for the convocation of the assembly in order to review Russia’s main law. Presidential runner and leader of the Fair Russia party Sergey Mironov stressed that he had previously said that Parnas should have been registered. The politician, who came fifth in the Sunday election, said that his party in the State Duma supports the idea of simplifying rules for the registration of new political parties. Medvedev also demanded that the Prosecutor General's Office re-examine the lawfulness and validity of court rulings on 32 persons (including Mikhail Khodorkovsky and his former business partner, ex-head of Menatep, Platon Lebedev) before April 1. The list of so-called “political prisoners” was handed over to the president at the February meeting.